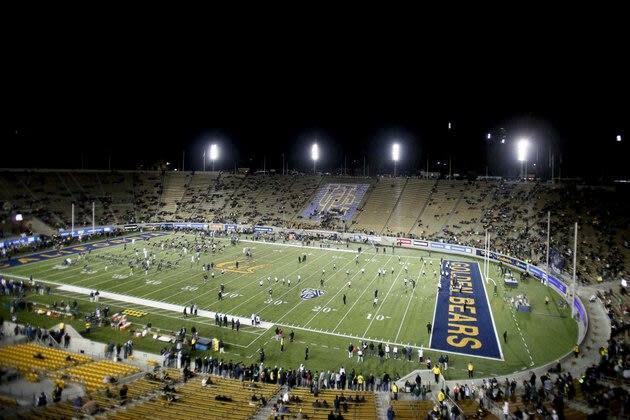 The news on Cal's stadium renovations, and the lack of sales to finance it, must be more than a little disturbing to school officials looking at a huge debt. A major part of the financing for the $321 million renovations to Memorial Stadium was selling special endowment seats, the San Francisco Chronicle reported. They cost $40,000 to $250,000 and you get to keep them for 40 or 50 years. Great plan, right? Well, sure, until they (rather predictably, given the cost) couldn't sell them all. According to the Chronicle, Cal officials said they would sell all 2,902 seats by this month, but they're stuck on 1,857. And as the Chronicle also reports, 16 of them were given back to the school this winter. What's left is an enormous debt, and some at the school rightfully concerned about the fallout. "We said it wouldn't work out. They never should have done this," computer science professor Brian Barsky told the Chronicle. "The prices are too high. It was doomed to failure." The Chronicle said the school now carries a $445 million debt for the stadium and a new $153 million student athletic center. The story outlines some fears, mostly from Barsky, characterized as a longtime critic of the plan, that the cost of tuition could rise especially if the school has to use academic funds to pay off the debt. The story says paying off stadium debt is already taking 20 percent of the athletic budget, and that's just to pay interest. The school won't start paying down the principal until 2032. The Chronicle story is thorough, and paints a pretty frightening picture. It also is another example of misplaced priorities in even some of the most respected universities in the United States, but you probably already figured that out if you read the words above.